"I’m best known for being one founders of a company called Monolith Productions (Blood, Condemned). I was the CEO there for 10 years. That company actually spawned a sister company called Lithtech, which I was the CEO of simultaneously until Jeff Hutt took over and that became Touchdown Entertainment. Then in 2004, I was asked to come and head up the Warner Brothers Interactive division and sort of build it and helped get the studio into the gaming space. Then after three and a half years of doing that, I was finally able to convince the studio to give me a shot at producing film, television and online content. So we did a deal with my company called HD Films to get setup here in the studio lot and start making some linear content." Jason Hall (nickname "Jace") was the founder and Chief Executive Officer of Monolith Productions. Blood and Blood II: The Chosen were some of his first projects, and he is responsible for creating real-time 3-D authoring technology. He is also the voice of Tchernobog/BloodBath Announcer (credited as The VoiceTM), which was given its unique tone by resampling Hall's normal voice at a lower rate. Alongside Nathan Hendrickson, he is also credited with coming up with the basic premise for the Condemned series, and recently has been said to be pitching ideas for a third game in the series to developers and fans. The initial concept, called "Species X" or "Iniquity", was also spun into the 2011 film The Unforgettable. He was the inaugural senior vice president of Warner Bros. Interactive Entertainment (WBIE) in 2004, who soon bought out Monolith seven months later, and was executive producer of many of their productions, including The Matrix Online, F.E.A.R. and World of Warcraft. He continued to support WBIE in their projects, with over forty games to his credit, his diverse experience making him unique in the industry. One of his more notable moves was the idea that developers of properties licensed by Warner Bros. would have to pay extra royalties if their games received scores below 70/100 on review aggregates, as part of a general effort to improve the reputation of tie-in games. 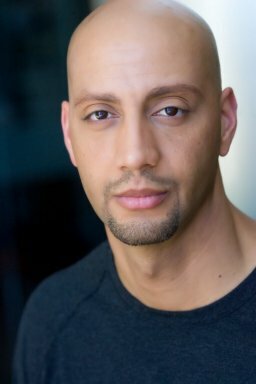 After handing over his position to Samantha Ryan in 2007 (who previously took over his position as Monolith CEO), he founded HDFilms Inc, most notably producing the web series The Jace Hall Show (2008-2012) and The Morning After (2011-2014) as well as the Unreal Engine 3 machinima production Chadam. He was also an executive producer on the 2009 version of V, among other production work in film and television, such as PVC-1 (2008) and Brothers in Arms (2009). In March 2014 he purchased Twin Galaxies, an organization that keeps track of world record video game high scores. He has also been pitching a remake of Space 1999 under the title Space: 2099. Hall has also added singer-songwriter to his resume with release of the Mortal Kombat music video (over 18 million views). Before Monolith, Hall worked as a lead engineer for Broderbund Software and manager of multimedia for Edmark Corporation. His experience includes investment banking, music composition and A/V engineering, as well as a tour in the United States Marine Corps. A cheat code in Doom 95 exists called fhhall1 which kills all monsters in the level, excepting lost souls. Hall requested this particular cheat (hence the "BY REQUEST..." message that displays when the code is executed). The actual damage done to each monster is 10,000 hit points. Jason Hall was born in Buffalo, New York State, United States of America in 1971. "Hello, my name is Jason (Jace) Hall and some of you may know of me. I have been contemplating the idea bringing Blood back and was wondering how people might feel about it or if they were interested in helping me to do it. To be clear, I am thinking of bringing the ORIGINAL Blood game back as it was, with functionality alterations/enhancements that are similar but superior to ZDAEMON's. I would also make it work on all platforms, and not just PC. There are other things as well... I have a very specific vision in mind for what I'd like to do, but before I go off and do it - I wanted to speak directly with the Blood community and see what the thoughts are. My goal of course is for this all to be free, and all about gameplay and fun. You can rest assured that I have the resources to bring BLOOD back properly but like I said, I'm hoping to have the community participate in all this if it wants to so we can all do it together. This site is great and it would be great to see the Blood community grow! What do you all think?" On August 2, 2012 Jason Hall posted on The Postmortem forums about his interest in the idea of reviving Blood in some form. He stated that he was in a position to do this and the he had resolved any potential legal issues. He also stated that he wished for all Bloodites to offer him suggestions and ideas through this forum thread. He did however confirm that it was unlikely that he would be able to release the Blood source code in any sort of useful form. It was later revealed in February 2013 that Hall was unable to generate enough interest from Atari in order to have the project go forward. Hall had been considering such an idea since 2004 (see also), and mentioned something similar again on June 6, 2008 in a hypothetical context. It should also be mentioned that Devolver Digital also showed some interest in the Blood IP at around the same time, but concluded that it was too expensive for them to attempt to acquire it; others have since mused upon the idea as well. Hall brought up the idea again with an article published on June 5, 2016 intended to gauge whether or not there was still sufficient interest to support such a revival. On December 7, 2018 it was announced that a similar effort had been green-lit by Atari developed by Night Dive Studios. "I didn't have any master plans in the beginning. I just have always had a love for games and a fairly solid technical competence in general. I never woke up and said, 'I wanna make games!!' There was no one person of inspiration. If I could target one moment where I fell totally head over heals for games I would have to say it was the time when I was around 10 years old and I was over at James Garner's house (the actor from The Rockford Files) and he just got a brand new thing called 'the Atari 2600' from some movie studio as a gift. Now I had seen Space Invaders, Asteroids, and Pong and the like, but I never had a chance to really get to play them. This time, I was able to spend ALL DAY playing with this 'Atari thing'… I was hooked. I had to have one. I fixated on it like there was nothing else in the world. Thusly, I would have to say that my passion for video games started there, at Jim's house, on that day."